I have been reflecting on what to write in my MANGO Math Blog for some time, what could I write about with regards to mathematics that would be interesting. For over a year now I have been posting math questions via Facebook but I couldn’t quite figure out what I should blog. But then last night I was watching the movie Julie and Julia and my daughter came in and asked for help on her Algebra. We sat down and worked on multiplying and dividing fractions. I realized quickly that this is going to be our start into a new journey. My oldest daughter breezed through Algebra, Geometry and is now into Trig. (Algebra 2) with almost no help from either of her parents. She gets it, that could come naturally or it could be that she has had more math proficient teachers. My middle daughter on the other hand came home the first day with homework and called me over asking for help. I quickly realized, first and foremost before starting any homework, make sure the child is well fed and rested, as she was neither and was in tears within the first 5 minutes of us working together. Once we got going with the homework of multiplying and dividing fractions, I realized that we should have spent some time over the summer review our math facts. Her multiplication facts didn’t come quickly to mind. So we spent a little time refreshing the multiples of 7 and 8. Then we talked about divisibility. If a number is even then it is automatically divisible by 2. If the digits add up to 3, 6, or 9 it is divisible by 3, if the number ends in a 0 it is divisible by 5 and 10, if the digits add up to 9 it is divisible by 9. If the numbers are even and add up to 3, 6, or 9 the number is divisible by 6. These quick checks of divisibility makes it easy to reduce the fraction down to its simplest form. After having done a few problems I realized that she had no idea why she was to use the reciprocal of the fraction in order to divide the fraction. She just knew that was the process she was to go through, when dividing reverse the fraction and then multiply. She had no knowledge of what that meant. I found this website to help visually explain the process. This seemed to help a bit but I will continue to do what I can to help her on this algebraic journey. Even with our favorable product reviews we know it can be difficult to spend money on anything these days “sight unseen”. To try and alleviate that concern, we have spent a lot of time on our blog and website trying to provide detailed product descriptions of our math curriculum products, including product reviews, charts comparing our math crates vs. math totes, overviews of each lesson in each grade level and how they map to NCTM math strands, and pictures. We have now added slideshows! For each of our grade level crates, we have chosen one activity and created a self-contained slide show that provides more detailed pictures and instructions for that lesson that we hope will give teachers and parents a better sense of what to expect when purchasing our math products. For example, Golden Hexagon is one of our 1st grade math activities. Like all of our activities, Golden Hexagon is a colorful, hands-on and reusable. The objective of Golden Hexagon is to allow students to explore equivalent values and associative properties. If there is more information you would like to see or that you think might be helpful to someone evaluating our products, please let us know! Figure out how many gold medals Germany, Great Britain, China, Italy, France, Russia, and Canada received. 1. If France won two more gold medals, they would have won the same number of gold medals as Italy. 2. Germany won five times as many gold medals as Canada. 3. 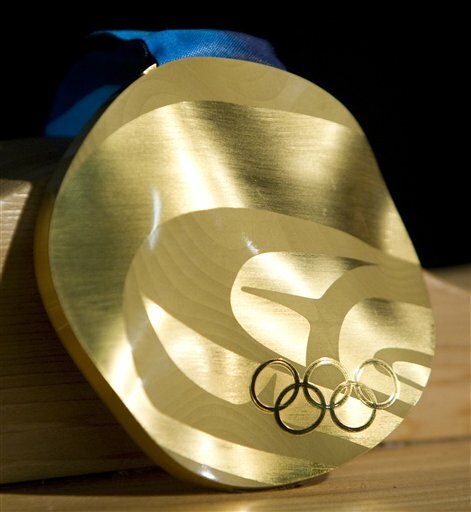 Great Britain won ten more gold medals than one-half the number of gold medals won by Canada. 4. The seven countries won a total of fifty-one gold medals. 5. China has two more gold medals than Russia. 6. If Italy had won two more than two times the number of gold medals, they would have won nineteen more gold medals than China. Here is a great game to play with students grades 4 up to grade 8. It is called Quatro. I will give you a target number from 0 – 20. You are to reach this number by writing an equation with just 4s. You can only use four 4s in your equation. You may use any operations (+, -, x, /), decimals, and/or parentheses. First target number is 3. Last night I made a 9 x 12 pan of chocolate chip cookies. I cut the cookies into 3″ squares. How many pans of cookies would I have to bake if i laid the cookies out end to end in a single file that stretched for a mile? #math #homeschool. What comes next in this pattern? Apple, apple, pear, pear, apple, apple, banana, pear, apple, apple, pear, pear, apple, apple, banana, pear, apple, apple, pear, pear, apple, apple. Growing up I remember watch School House Rock in between my favorite cartoons. And today I can still sing most of the songs. I would love to see these songs resurrected and helping kids learn their math facts. “Three is the Magic Number” with the reciting of the multiples of 3 up to 10 and back down to 1 is a great skill for any first and second grader to have down. So with the help of You Tube, start singing along. Shop now for our innovative and fun math games, lessons and activities!